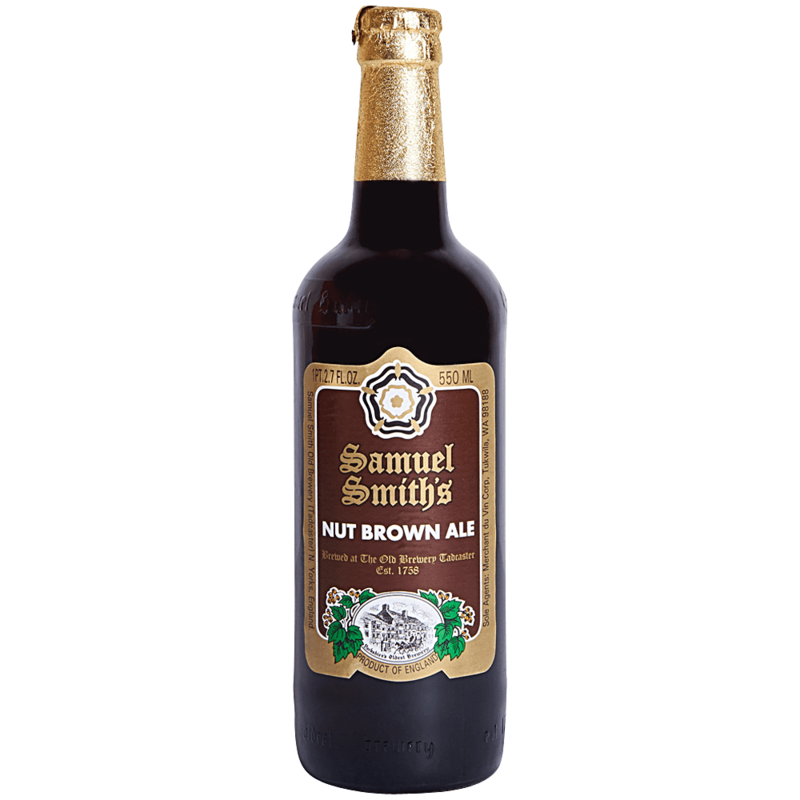 Brewed at Samuel Smith's small, traditional British brewery with well water (the original well sunk in 1758 is still in use), best barley malt, roasted barley, yeast and aromatic hops. Nut Brown Ale is relatively dry with a rich amber-brown colour and nutty flavour derived exclusively from small amounts of dark malt. Brown ales are a specialty of northern England. Fermented in 'stone Yorkshire squares'.